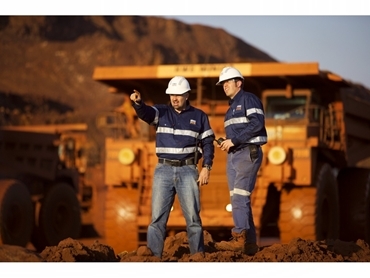 Following on from Part One, here are risk management consultant Mervyn Sher's ten tips to help you in your goal of getting a mining job. 1. There are two types of recruiters. The contingency recruiter and the consultative recruiter.The contingency recruiter is the dog hanging around outside the butcher’s hoping to pick up the scraps. This is the Recruiter that has no formal commission from a company, and who resorts to “mass saturation” tactics hoping that one of his “baits” get taken. These are the bodgie recruitersThe consultative recruiter is the butcher’s pet, and gets the prime steak. This Recruiter is already providing services to the Company, has proved themselves and has a professional relationship with the Company. This Recruiter will always have a proper Job Description with all the information at hand. 2. Statistics. Recruitment Agencies are like any other business, they rely on figures to show progress. So the more numbers that they can show as having “prospectives” on their books, the more chance there is of being handed work from the Client.The bodgie Recruiter is constantly under the pump to produce numbers, because they do not have a formal commission from the Employer. So this Recruiter will do anything that it takes to get your Resume, so that they can load it together with fifty others and fire it at a prospective Client – hoping to get at least one hit from it. This is called speculation. 4. Every respectable Agency will have a formal Personnel Supply Agreement (PSA) in place with an Employer for the specific job available, complete with full Job Description etc. As all Employers themselves are downsizing at this time, and taking on more of their own recruiting internally, until their own internal databases are robust they will adhere strictly to the terms and conditions of the PSA’s, as will the respectable recruiters. Given the downsizing of workforces taking place, it is highly unlikely that the Recruiter actually has a “live” job on offer.So the very First question to ask the Recruiter is for a full job description, as well as who the Client is. Remember, they have a PSA in place so there is absolutely no reason for them not to advise you accordingly. 5. What can the Recruiter tell you about the job? If they can’t tell you the size of the team, the reporting structure, the scope of work, rosters, accommodation, flights etc, chances are very real that they do not have a “live” job to offer.So the Second question to ask is about the scope of work, what machinery, mobile plant whatever is being used, who is the dirt boss, anything to do with your job and what is expected of you. To read last five tips click here.